Behold: The small, cheap device that’s disrupting the $7 billion legal cannabis business. This tiny combination of plastic, glass, and metal is a disposable cannabis oil cartridge. It costs anywhere from $30 to $70 (depending on the oil inside), is easily carried in your pocket, and produces little-to-no smell when consumed. You simply screw it into an inexpensive, rechargeable pen and inhale. That’s it. It’s this tiny device that’s quickly taking over cannabis consumption in America’s largest cannabis market: California. Nearly a quarter of sales from 2016, tracked by marijuana delivery service Eaze, were for cartridges. Similar growth rates are showing up outside of California as well. States like Colorado, Washington, and Oregon — where cannabis is legal — are showing massive percentage growth for “concentrates” (cannabis oil), according to BDS Analytics. Notably, this seems to be a growth trend connected to convenience. 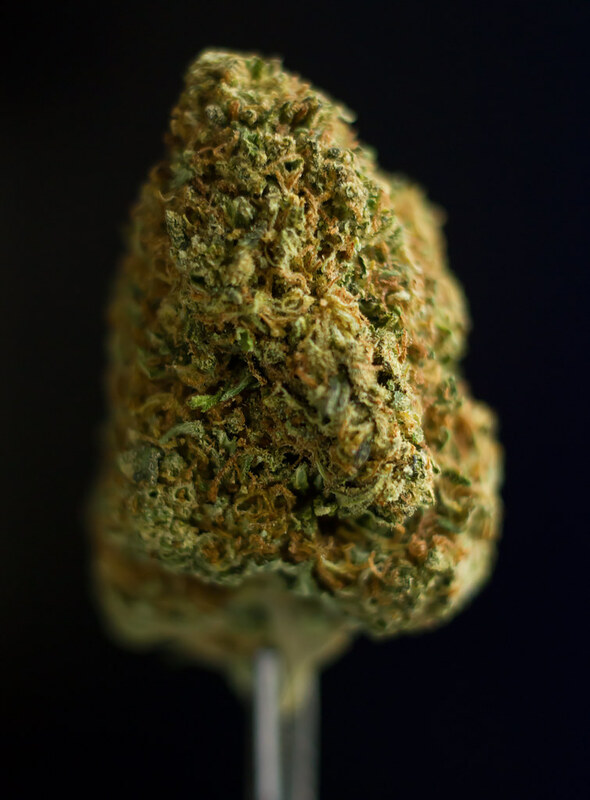 As “flower” (traditional marijuana buds) is messy, complicated, and requires preparation to be smoked, it’s no surprise that easier forms of marijuana product are growing so quickly. Though cannabis oil (“concentrates”) are making huge gains, the same can be said for pre-rolled and edibles. Edibles are simply eaten, and can be “dosed” out so you don’t overdo it; pre-rolled joints are as simple as lighting a cigarette — no rolling skills required. Cannabis oil marries the convenience of both. On top of those conveniences, oil cartridges are inexpensive and travel easily. Best of all, using a cannabis oil vape produces none of the characteristic smells or clouds of smoke associated with traditional cannabis consumption. All that growth has led to tens of millions of dollars in sales thus far, with an even brighter future expected as the market expands — despite huge wins for recreational cannabis sales in November 2016, regulation and implementation doesn’t kick in until January 2018 in many states. As commercial sales begin and more of the public tries these easy-to-use, disposable cartridges, expect even more explosive growth. While it’s still unclear where the Trump administration stands on marijuana, one state might as well have discovered its own El Dorado. Per The Cannabist, Colorado has been hauling in $100 million a month in marijuana revenue through May, when it reached a total of $127.7 million. What’s more? That’s not even the record month. That would be this past March, when sales crested at $131.7 million. (According to the publication, sales totals include “flower, edibles, and concentrates.”) And May’s total marks the 12th consecutive month of $100 million sales or greater. “I think that $100 million a month [in sales is] the new norm,” Bethany Gomez, director of research for Brightfield Group, a market research firm focused on the cannabis industry, told The Cannabist. Of course, those revenue totals aren’t just a pat on the back for marijuana industry purveyors; the state of Colorado brought in nearly $223 million in taxes and license fees, too. Nova Scotia’s human-rights board has ruled that a man suffering from chronic pain must have his marijuana prescription paid for by his employee-insurance plan, with advocates saying the decision opens the door for patients across Canada to push for similar cannabis coverage. Gordon Skinner, from a community just outside Halifax, had argued that he faced discrimination when he was denied coverage by the Canadian Elevator Industry Welfare Trust Plan. He has been using medical cannabis to treat pain from an on-the-job car accident that forced him from work as an elevator mechanic more than six years ago. In Canada, only veterans, some first responders and a small number of private citizens get their medical marijuana covered by health-insurance providers. That’s because Health Canada has not approved marijuana as a medicine, so insurers are less inclined to offer coverage. Deepak Anand, executive director of the Canadian National Medical Marijuana Association, said the ruling is significant and could see a number of people apply for coverage through their provincial human-rights commissions. “If they could start to use this avenue to try to get their employers or insurance providers to start covering it, I think that’s going to be significant and we are going to see more of that,” Mr. Anand said. He said he knew of one other instance where an insurance company agreed to cover medical marijuana – for University of Waterloo student Jonathan Zaid in 2015. Mr. Zaid, who now heads the patient advocacy group Canadians for Fair Access to Medical Marijuana, said Thursday’s ruling could extend to other medical-cannabis patients that have similar contract language in their employee plans. “All patients can use this and show the feasibility of insurance coverage and how it’s a human right and how medical cannabis should be treated just like any other prescription medication,” Mr. Zaid said. However, he added, the exclusion of cannabis coverage from many people’s plans hinges on the drug not having been issued a unique number by Health Canada that identifies its manufacturer, product name, active ingredients, strength, pharmaceutical form and route of administration. Mr. Zaid said he is hoping Ottawa unveils a legalization framework later this spring that ensure patients have reliable access to the drug, regardless of how recreational marijuana ends up being sold. Thursday’s ruling states Mr. Skinner must buy his medical marijuana from one of the 30 large producers licensed by Health Canada or a person legally authorized to produce for him. “I’m elated, I’m still in shock, it’s really still sinking in to be honest with you,” Mr. Skinner said in a telephone interview from his home outside Halifax. He argued his own case before the board last October after being denied coverage three times, and said he hoped the inquiry-board’s ruling would set a precedent. How Many Prescriptions Are Replaced by Cannabis? Canada Study Explores In the US, we’ve seen a marked drop in opioid overdoses in legal states, prodding the question of whether patients are replacing their prescription medicines with cannabis. Recent survey data collected from patients enrolled in Canada’s MMPR program indicates this may be more than just a correlation. Led by researchers Philippe Lucas and Zach Walsh, this investigation surveyed 271 patients purchasing medical cannabis from Canadian LP Tilray (which, like Leafly, is owned by Privateer Holdings). Seeking to understand who is using medical marijuana and why, they discovered some staggering statistics pertaining to substitution–63% of respondents reported using cannabis in place of prescription medications. The reason? “Less adverse side effects,” said 39% of patients. Others responded that cannabis was safer (27%) and more effective in treating symptoms (16%). 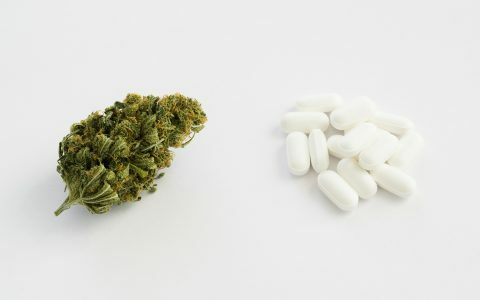 “In light of the growing rate of morbidity and mortality associated with these prescription medications, cannabis could play a significant role in reducing the health burden of problematic prescription drug use,” the authors wrote. Putting to rest concerns of cannabis dependence, the survey also established a strong tendency for recreational use to precede medicinal use, not the other way around as we see with many pharmaceutical medications. A transition from medical to recreational use was only reported by less than 3% of respondents, indicating a low risk potential. Though widely supported by anecdotal evidence, this study is one of hopefully many to substantiate what patients have been experiencing for themselves when it comes to replacing other drugs and habits with cannabis. How might these statistics look in the US, where prescription medication use and abuse runs rampant? That’s a question for future research. The Supreme Court of Canada has opened Pandora’s cookie jar by blessing pot-infused ginger snaps and cannabis derivatives, causing a fuming federal health minister to insist that patients must smoke their bud. In a unanimous decision, stinging in its brevity and common sense, the country’s highest court said Thursday medical marijuana patients should not be restricted to just the dried plant. The seven justices said the national medical pot program was flawed, impinged patients’ rights, and was not saved by the section of the constitution that allows reasonable infringements for worthy societal goals. 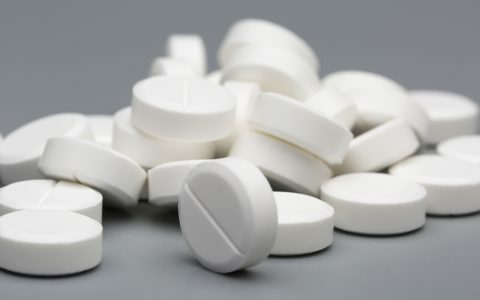 Lawyers involved in the case said it also had broader implications because the right to use comes with an implicit right of access to a supply. Although the court didn’t address the issue, the lawyers said the situation is analogous to the rulings that led to the creation of the medical marijuana scheme at the turn of the century. Although this case was supported by the Victoria Cannabis Buyers Club, such clinics and dispensaries that have long provided derivative products as well as dried pot have always been illegal. The landmark Supreme Court ruling, however, appears to give them arguable legal ground on which to sell derivatives, since there are no authorized suppliers. That could have huge repercussions in Vancouver where civic officials are faced with nearly 100 unregulated outlets, most offering a range of pot products as well as dried weed. “Marijuana has never gone through the regulatory approval process at Health Canada, which requires rigorous safety reviews and clinical trials with scientific evidence,” she told reporters in Ottawa. The Conservative insistence that patients smoke or vape their medication once again finds them clashing with the judiciary, which considers that nonsensical. “Inhaling marihuana (the archaic legal spelling) can present health risks and is less effective for some conditions than administration of cannabis derivative,” the country’s highest bench said in the ruling that was unsigned, implying institutional weight. There is no connection between the prohibition on non-dried forms of marijuana and the health of the patients who qualify for legal access, the court said. “It is therefore difficult to understand why allowing patients to transform dried marihuana into baking oil would put them at greater risk than permitting them to smoke or vaporize dried marihuana,” the justices added. The appropriate remedy the court said is a declaration that the law is of no force and effect to the extent that it prohibits a person with a medical authorization from possessing cannabis derivatives for medical purposes. “It’s fantastic,” enthused Vancouver Island lawyer Kirk Tousaw, who with Abbotsford counsel John Conroy handled the appeal. One of the key points of the ruling is that the court broadly conceived of medical autonomy to include not only amelioration of injury or illness, but also “non-trivial” enhancement, maintenance and preservation of health or well-being. The choice of individuals to use what they experience as the most efficacious mode of using a medication is a “non-trivial” choice, and restricting that choice infringes the right to liberty. In rejecting the government’s appeal, the court explained that it was not suspending its declaration, even though the lower court decision had given Ottawa a year to fix the law. Such a suspension, the justices said, would leave patients without lawful medical treatment and the law and law enforcement in limbo. But there is no legal supply of cannabis derivatives — and the decision will incite a sea-change in the direction of the medical cannabis industry away from smoking by allowing a broad range of new products. Gratl said the supply question loomed over the judgment — noting that with dried marijuana, patients first won the right to use it with the Parker decision in 2000, then the right to a supply in Hitzig v. Canada 2003. The case has its roots in a December 2009 West Coast bust. The former head baker for the cannabis club, Owen Smith, was arrested in his Victoria apartment with 200-plus cookies, a supply of cooking oils and some dried dope. He was charged under the Controlled Drugs and Substances Act with trafficking tetrahydrocannabinol (THC), one of the main psychoactive chemicals in pot and presumably the tasty snaps and oils, and possession. In 2012, B.C. Supreme Court Judge Robert Johnston acquitted Smith after ruling that the medical marijuana regulations were constitutionally flawed because they restricted patients’ therapeutic use of cannabis. The high bench affirmed the acquittal. Tousaw said his client was thrilled. Both the old rules, known as the Marihuana Medical Access Regulations, and the new ones titled, the Marijuana for Medical Purposes Regulations, which came into effect April 1, restricted patients to only dried cannabis. Johnston, whose reasoning was endorsed by the Supreme justices, said that constraint was arbitrary. He found criminalizing how a patient used his or her medicine an unwarranted infringement of security-of-the-person rights guaranteed under Section 7 of the Charter of Rights and Freedoms. Marijuana’s active ingredients have a longer-lasting effect if they are ingested rather than inhaled, bringing greater benefit to those who use it to treat conditions such as chronic pain or glaucoma. Smoking achieves a quicker, but less-lasting benefit. But for many patients, especially children and the elderly, the court heard, using extracts is a much more reasonable method of ingestion than smoking or vaping. Last August, in a 2-1 judgment, the B.C. Court of Appeal agreed with Johnston sparking Ottawa’s appeal. Our parents and grandparents are changing the typical ‘stoner’ demographic bell curve. Seniors have recently been warming up to the idea of medical cannabis use. The topic has been covered many times over in the media recently that senior cannabis use has increased from 2.8 million to 4.3 million between 2013 and 2014 in California[i]. Amazing contrast regardless, the amount of medicinal seniors registered in the state out-numbers the entire population of Kentucky. Since the California Senate Bill 420 went into effect in 2004, over ten years have passed. So is this delayed wave of activity due to seniors simply being late to the game, or is there more to it? Elderly are warming up to the concept of cannabis. It is usually satirized how most of our grandparents become aware of trends or pop culture references some years after initial relevancy. But in the case of cannabis, it’s a different story: the demographic was informed, just afraid to become labeled with the ‘stoner stigma’. And this instilled fear dates back to their childhood, when Yippies in their community were getting locked up on a daily basis, and the propaganda agenda of Reefer Madness still lingered. The state certified teacher was not only a classroom instructor, but also a Catholic school principal in the education system, and an advocate against pot use. While writing a parenting book in Georgia, she received a call from her son proposing the idea of implementing her dream of senior therapy adjacent and funded by a dispensary. Quite the proposal for a mother who told her children she would call the authorities if she found any substances in her house. Being afraid she was ‘losing her son to drugs’, the ordained minister moved out to California and quickly became informed about the truth revolving the devil’s lettuce. And that was 7 years ago. Now, as one of the biggest pot proponent in the Bay Area, her educational subject is now Cannabis, as she informs seniors about the ‘evil’ they grew up with. Senior Kerry Stiles ingests his CBD via an eyedropper method. “They resonate with me right away for two reasons. Number one, because I am a science teacher. And number two, I tell them two things: you don’t have to smoke it; and the psychoactivity can be lessened or even minimal. And they become very interested” Sue states. Educator Sue Taylor strives for cannabis awareness in senior community. But as Sue breaks the cycle in California, there is another ‘cannabis crusader’ on a mission to end the misinformed baby boomers. Robert Platshorn leads a similar campaign from a not so similar background as Sue Taylor. The 70 year old Platshorn was actually a criminal, and served 29 years for being involved in the notorious marijuana smuggling surfer ring of the 1970’s. [ii] Upon his release, he started The Silver Tour, which is also geared towards elderly education on cannabis. Robert’s Silver Tour has been featured on The Daily Show, appeared besides Rush Limbaugh and Glenn Beck, and made countless radio broadcasts. It’s comforting to know that people like Sue Taylor and Robert Platshorn are working towards enlightening the elderly. And between the two of them, the goal of informing this AARP crowd seems more and more AARPossible. For more on Sue’s testimony, check out her podcast interview with TheHash.org. And make sure to check out Robert’s Silver Tour website. This is perhaps why full-plant cannabis buds and extracts are thought to be more helpful to patients than isolates. Not only do THC and CBD interact with one another to fight pain, but these compounds engage with various terpenes as well. Terpenes are aroma molecules found in the resin glands of plants. Alzheimer ; Shout Out in Chemainus ! 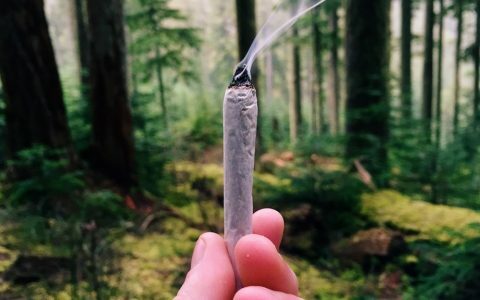 Hello Chemainiacs, I do understand a lot of you are thinking the cannabis posts are a bit much… but when the topic of this post is strictly about results from a community member, I think that deserves a huge shout out. I had a family come to me a few months back, in total panic mode. they wanted to get help for their 88yr old mom, who has dementia and had developed OCD like tendencies. I received this email last night from them. “Hi Dave…sorry it has taken me so long to write this up for you guys. Its kind of long but I wanted to tell our story. So, in light of recent municipal and RCMP wishwash, this is why I do what I do. This is why Canadians should be standing up and demanding a cleaner safer, medicinal alternative for themselves and the ones they love. This plant isn’t a danger to anyone, quite the opposite. so I urge you all to have an open mind about cannabis, have a open discussion with your friends & loved ones. This topic is no longer a taboo, it is mainstream and should rightly be treated as such. If we want to be outraged we can be outraged at epidemic of over prescription of pharmaceuticals to the elderly. Comments Off on Alzheimer ; Shout Out in Chemainus !